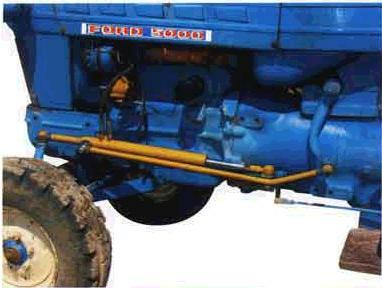 Tractor Power Steering Conversion Kit for Ford 2000, 3000, 3600. 1. 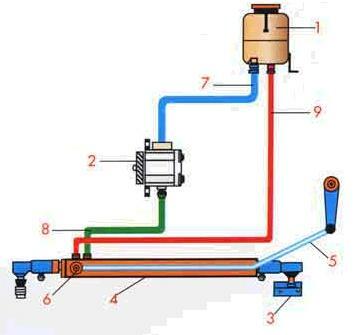 Install Hydraulic Pump (1) to engine. 2. 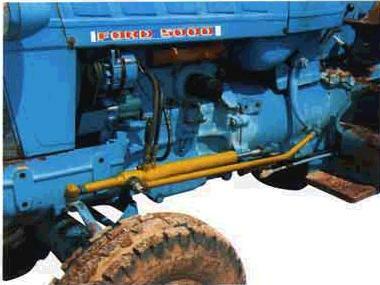 Install Hydraulic Cylinder Mounting Plate (2) to transmission housing. 4. Install Left Double Drop arm (6). Adjust to original axis. 5. Install Right Single Drop arm (7). Adjust to original axis. 6. Mount Hydraulic Cylinder (3) to mounting plate and left double drop arm.